Trafalgar Wharf: 12/12/12 Is here! Did you survive? 12/12/12 Is here! Did you survive? For those who like to get a bit nerdy with their numbers, today is one of the century's most significant dates. 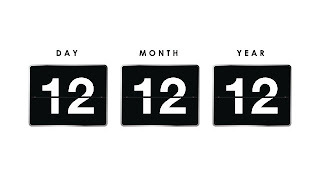 Today is 12/12/12, the last of the great repeating dates to occur in our lifetimes, unless you're planning to live until January 1st 2101! 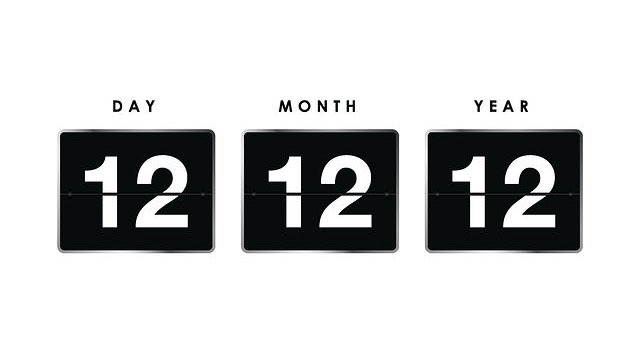 Despite its lucky status, 12/12/12 doesn't seem to be quite as big a deal as 11/11/11 was. That milestone date had the added bonus of being a binary number; that's why it was also known as Nerd New Year (binary joke tagline: "it's ON!"). So how to celebrate 12/12/12? Crank up "The 12 Days of Christmas" (Click here to see our version from 2011) 12 times until you drive everyone crazy. Appropriately for such an event, some on social media are calling 12/12/12 "National Soundcheck Day." That is: "One, two. One, two. One, two." Meanwhile, the collaborative film project One Day on Earth is filming again, following on from its successful 10.10.10 and 11.11.11 events. The creators will take any video you care to upload to the site and edit it into a movie showing life around the globe. As you know we enjoy making videos at Trafalgar Wharf and The Drystack and so we are going to film something today to upload so watch this space.